Camp Lejeune in North Carolina is the second largest Marine Corps base in the U.S. after Camp Pendleton in California, and it's the largest base east of the Mississippi River. Built at the mouth of the New River in 1941, it encompasses 240 square miles and was considered a perfect place to train for amphibious assaults—a type of warfare that uses naval ships to provide support to ground forces. Between 1953 and 1987, water contamination occurred at Camp Lejeune. During that time, Marine Corps military members and their families living at the base bathed in the polluted water and ingested tap water that was contaminated with dangerous chemicals with high concentration levels; approximately 240–3,400 times higher than permitted by safety standards. In the years that followed, countless residents of the base developed cancer and other serious medical conditions, and many people believe it was from drinking the contaminated water. Additionally, victims allege that Marine Corps leaders knew about the problem but concealed it, didn’t try to resolve it, and didn’t notify those who had lived on the base that the water posed risks to their health. 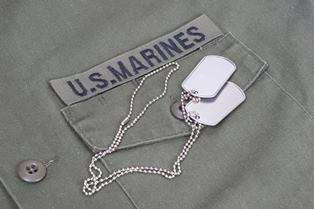 The U.S. government launched investigations in 2009 regarding allegations of water contamination and failure on the part of Marine Corps officials to work to resolve the issue. In 2012, President Obama signed into law the Janey Ensminger Act to provide medical care for victims sickened by the water. In 2014, studies by the Centers for Disease Control and Prevention found that the polluted water at Camp Lejeune “seriously increased the risk” for many serious illnesses, including ALS and kidney cancer. In 2016, the United States Department of Veterans Affairs (VA) proposed regulations that would establish presumptive service connections for eight medical conditions suffered by military members exposed to the contaminated water at Camp Lejeune. However, these regulations haven’t gone into effect. If you need help filing a claim for an illness you believe was caused by your stay at Camp Lejeune, it’s beneficial to hire a disability attorney to help you through the application process. Before Camp Lejeune was built, safety solvents such as tetrachloroethylene (PCE) and trichloroethylene (TCE) became popular cleaning chemicals. PCE was a solution used in dry cleaning, and TCE was used as a degreaser for cleaning machine parts. Dry cleaning. Many people don’t realize that the chemicals used to clean shirts at the dry cleaners are very carcinogenic. Just outside Camp Lejeune was ABC One Hour Cleaners, where soldiers had their uniforms cleaned. It functioned just as hundreds of other dry cleaners did by using PCE as a cleaning solvent. Eventually, potholes on the base were filled with some of the PCE sludge, and a great deal of the liquid waste was absorbed into the ground—the same way TCE was getting into the ground on base. Ensuring clean equipment. To ensure clean and functioning equipment, military mechanics and personnel washed grease-covered parts in TCE. Former Marine Joseph Paliotti believes his cancer was due to the 16 years he spent working at Camp Lejeune. “We used to dump it: DDT, cleaning fluid, batteries, transformers, vehicles,” he said in a television interview. “I knew sooner or later something was gonna happen.” Paliotti died a few days later. Leaking fuel tanks. PCE and TCE soaked into the ground and into the aquifer that provided water to the base. But also flowing into the ground was benzene from a nearby fuel farm. Benzene is a component of gasoline and a carcinogen that can easily enter the body. Umatilla Chemical Depot. This is located in the plains of northern Oregon, and VX nerve gas and mustard gas were stored there. McClellan Air Force Base. Located near Sacramento, California, this area contains radioactive waste, fuel plumes, and industrial solvents. Kelly Air Force Base. The Air Force allegedly dumped trichloroethylene (TCE) into the soil in this area of Texas. This base has been called by some people part of a “toxic triangle” in south-central Texas. Rocky Mountain Arsenal. This area, north of Denver, had a one-time stockpile of sarin. Massachusetts Military Reservation. Located on Cape Cod in Massachusetts, this area was polluted by explosives and perchlorate—a rocket fuel component. If you’re a veteran, a member of the Reserves, or a member of the National Guard assigned to Camp Lejeune from August 1, 1953 through December 31, 1987, and you believe your medical condition was caused by the contaminated water there, don’t wait for VA compensation changes to be finalized. Contact Cuddigan Law at 402-933-5405. We’ll schedule an appointment to discuss your eligibility for benefits. How Does the VA Rate Respiratory Illnesses?